A couple of years ago, a big snowstorm closed local roads. 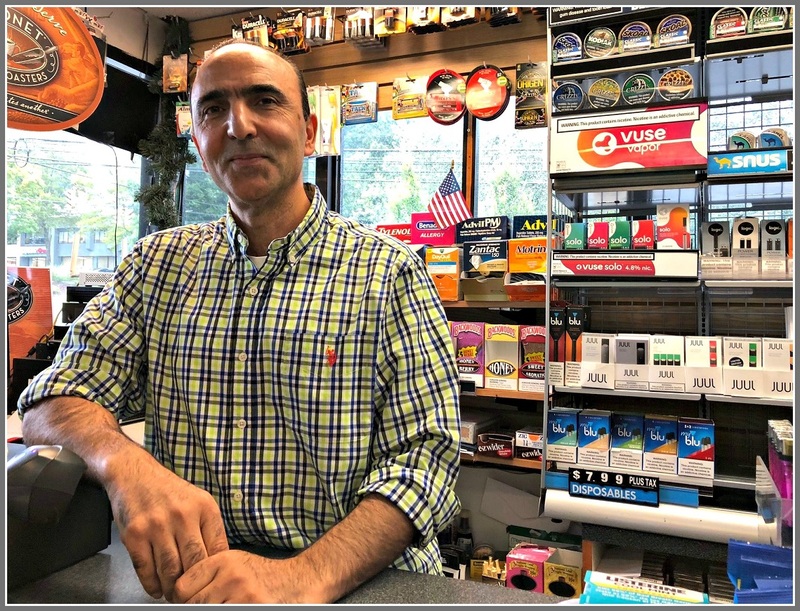 Concerned that Samer “Sam” Hiba — owner of the Mobil Self-Serve next to Barnes & Noble — might not make it home to Trumbull, a nearby customer called and invited him to sleep at her house. 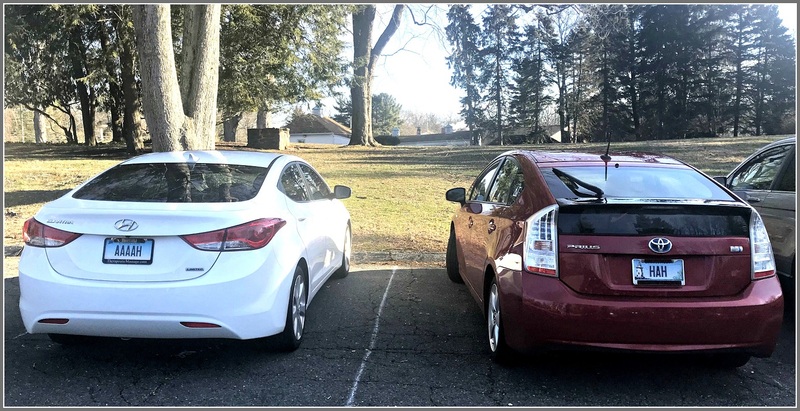 Not many gas station owners develop those kinds of bonds with their customers. As of Thursday, there will be one less in Westport. Tomorrow (Tuesday, September 18) is the last day for Sam’s station. The gas company informed me that they decided to withdraw from this location only after carefully analyzing the numbers and determining that, unfortunately, the station’s projected long term revenues are not sufficient to justify investing the additional resources necessary to do the mandatory upgrade to the tanks, along with the corresponding improvements to the canopy, pumps and store. Sam will shut off the pumps at 10 p.m., then spend Wednesday and Thursday cleaning out the station he loves. Sam Hiba, in his Mobil Self-Serve gas station. From the day Sam bought the business 5 years ago, his life has been intertwined with the men and women who come in for gas, coffee, snacks and conversation. He has brightened their days. They’ve supported his major community work: caring for Syrian refugees. Sam left his native country 25 years ago. He’s now a proud American citizen — as are his 5 children, all of whom were born here. But he’s never forgotten that war-torn nation. His long list of friends include Westport residents, local businesses, even St. Luke Church. Sister Maureen and the entire staff has been particularly strong supporters of Sam’s Syrian relief efforts. As customers hear that Sam’s Mobil Self-Serve is closing, they’re shattered. Today and tomorrow they’ll fill his small but well-stocked mini-mart, and say thanks. He promises to keep in touch with his customers — er, friends. He knows they’ll do the same. Yet life on that stretch of the Post Road will never be quite the same. Last month, scores of admirers from 2 churches joined to honor Sister Maureen Fleming. The occasion was 60 years of religious service. And what service the energetic 79-year-old nun has provided! First at Assumption, then at St. Luke, Sister Maureen has run many ministries, and all of the funerals. Her official title is coordinator of pastoral outreach. But she does much, much more. Thank you for enriching our lives in so many ways. You are a good friend and confidante to us all, as we face various points along our spiritual journeys. 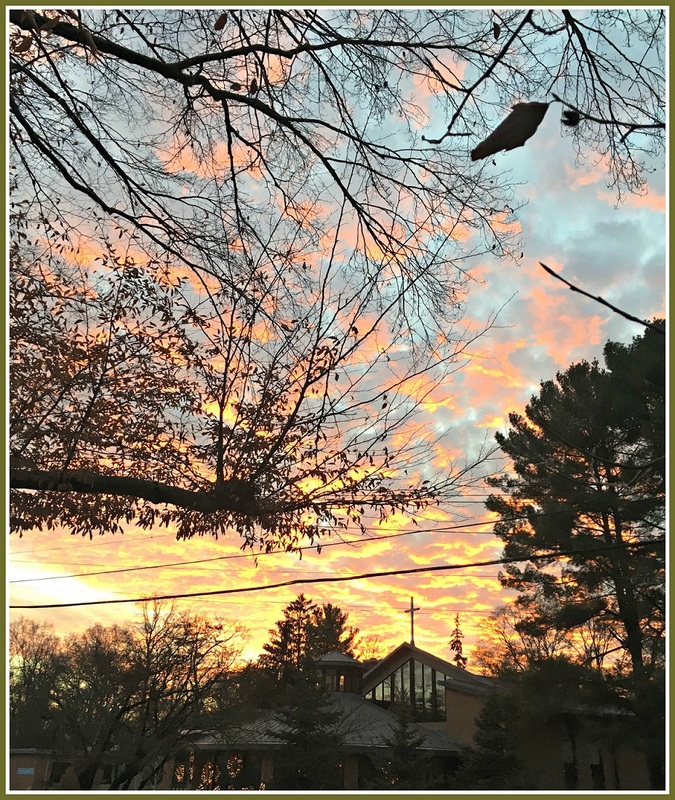 From hosting Seder dinners before first communion, to running our Harvest Fair and annual raffle; from leading Mosaics and New Horizons, as well as our parish outreach ministry, you truly live your faith. You exemplify 60 years of religious life better than anyone we know. She is an advocate for women’s and children’s rights, education and the fight against poverty. As an NGO registered with the United Nations she participates in lectures and conferences dealing with women’s and children’s justice issues, especially human trafficking. From 1995 to 2005 Sister Maureen was director of Caroline House, the literacy center for immigrant women in Bridgeport that was started by her order. Two years ago, Fairfield University honored Sister Maureen with an honorary doctorate. Oh, yeah: She met Pope Francis in Washington, DC. She knows all the good people. And now Westport knows all about this week’s Unsung Hero. The suicide of a local student a few years ago was tragic. But out of that darkness came some wonderful light. 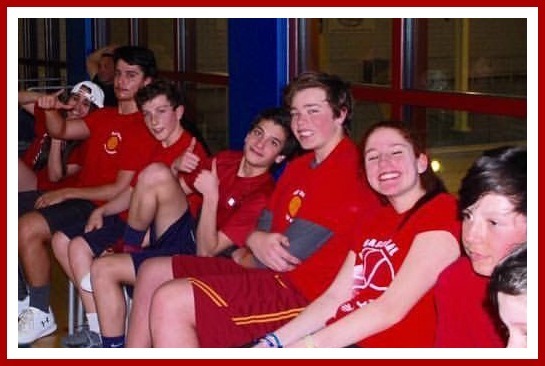 The young man’s friends decided that a great way to honor his memory was with a round-robin basketball tournament. Like any tournament, every player wants to win. But the organizers also promote the values of kindness, tolerance and fellowship. “Full Court Kindness” an inter-faith event. 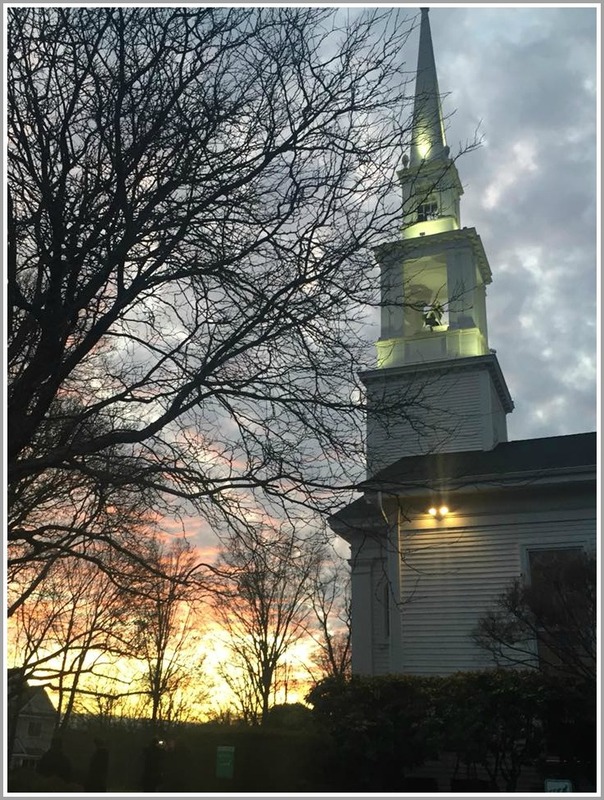 Teams come from 4 Westport houses of worship: Church of the Assumption, Temple Israel, St. Luke and the Conservative Synagogue. The Weiss Family Scholarship Fund, set up in honor of a family well-known at Temple Israel. All were killed on New Year’s Eve, in a Costa Rican plane crash. The tournament is set for this Sunday (6:30 to 8:30 p.m., Westport Weston Family YMCA). There’s a $5 admission fee (though of course you can give more). Full Court gear will be on sale. I’m not sure which team will score the most points. But I know who will win. Three years ago, Sharon Carpenter read Father James Martin’s “Jesus: A Pilgrimage.” The longtime Westporter was challenged and inspired by the Jesuit priest’s lighthearted yet loving exploration of ancient Galilee and Judea, and his exploration of how Jesus speaks to believers today. 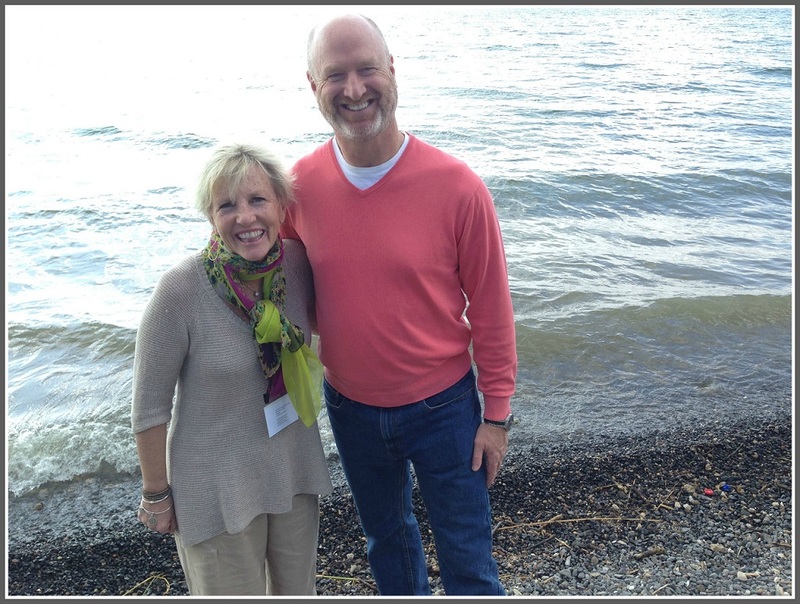 When Sharon’s husband Sam decided to treat her to a 30th wedding anniversary trip to the Holy Land, he figured a Father Martin-led trip was just the ticket. Sam — who is not Catholic — did not realize Father Martin is a Big Name in Catholic commentary. A Wharton Business School graduate who entered seminary in 1988 after 6 years with GE Capital, he’s written extensively — and been interviewed by everyone from Bill O’Reilly to Stephen Colbert and Terry Gross. Father Martin’s tour had been sold out for a year. The wait list held 400 names. But Sam said if anyone dropped out at the last minute, they’d be ready to go. Miraculously, there was a cancellation. Sam and Sharon got the call. The trip was all she’d dreamed of. Father Martin was a warm, wonderful — and brilliant — guide. Though Sam was the only non-Catholic in the group of 40, Father Martin asked him to read the Beatitudes at the Mount. “He’s that kind of guy,” she says admiringly. Sharon and Sam Carpenter in the Holy Land. After the trip, the Carpenters remained friends with Father Martin. As the publication date neared for his new book, he asked Sharon to help with the launch. 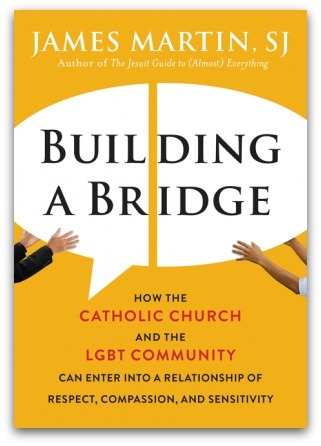 Building a Bridge — appropriately published on Tuesday, during this month when the LGBT community celebrates Pride — is a passionate plea for Catholic leaders to relate to their LGBT flock with compassion and openness. The book was a response, in part, to last year’s Orlando massacre at the Pulse club. Father Martin felt that Catholic church leaders had not spoken strongly enough about the LGBT aspect. His voice is important: Earlier this year, Pope Francis appointed him a consultor for the Vatican’s Secretariat for Communication. Still, she wondered about the reaction if she tried to arrange a launch party here. Father Andy Varga of St. Luke — the parish where Sharon has been active for 25 years — offered the church for an event. Father Tom Thorne of Assumption wanted it at his church too. 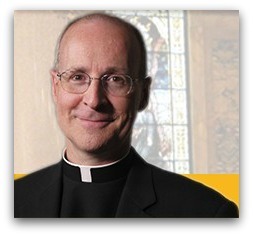 St. Luke was chosen to host the Thursday, June 29 (7:30 p.m.) talk, Q-and-A and book signing by Father Martin. But there’s more. Father Varga put out the word to Westport’s interfaith clergy group. Father Thorne has publicized it in parishes around Fairfield County. Other groups are also promoting it. The Triangle Community Center — Fairfield County’s LGBT organization — is all in. So are the Westport Library, Barnes & Noble, and the (Jesuit) Fairfield University bookstore. Sharon’s book club and prayer group are also excited to hear Father Martin. As Pride Month winds down, Sharon Carpenter could not be more proud. A bunch of Catholics and Jews walked onto a basketball court. No, it’s not the start of a joke. It’s what happened last night, at the Westport YMCA. 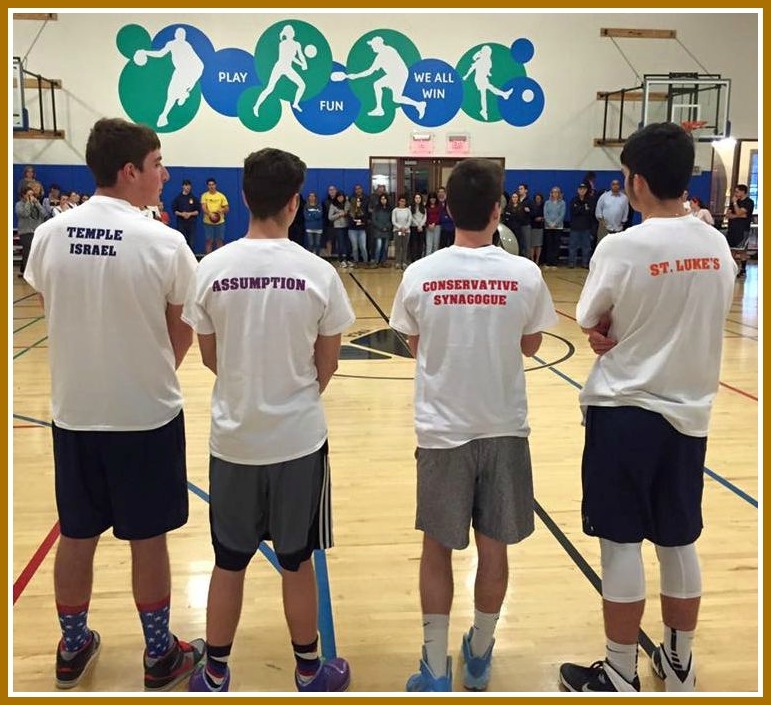 Full Court for Kindness — an “interfaith basketball tournament” — pitted Staples students (and a few middle schoolers) from Assumption Church, the Conservative Synagogue, St. Luke Church and Temple Israel in a round-robin format. Players came from their respective youth groups. The event honored Chris Lanni, a Staples High School freshman (and St. Luke’s youth group member) who died last year. A moment of silence was held before the first whistle. All proceeds went to the Make-a-Wish Foundation. 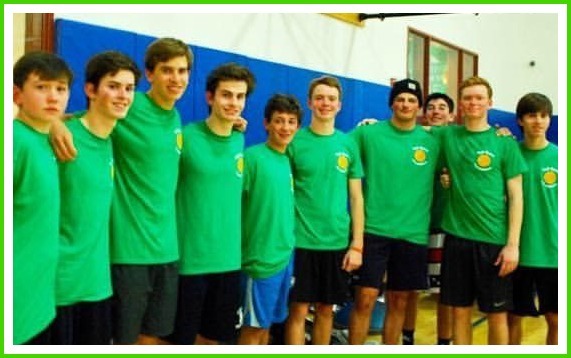 The victorious team came from the Conservative Synagogue (with the help of a couple of Israeli Emissaries ringers). Really though, everyone there was a winner. Today is Ash Wednesday — the traditional beginning of Lent. Here in Westport, apparently, it’s also the beginning of the use of QR codes to advertise the special day. Whether or not St. Luke’s is the 1st church in the world to embrace QR technology* or not — and it very well may be — the 11th Commandment still stands: Thou shalt not text in the pews. 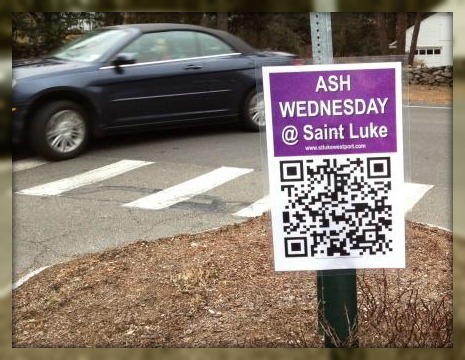 *QR codes — like those shown above — are those bizarre-looking designs which, when put into your cell phone, exhibit gobs of information about whatever is being described or advertised (in this case, Ash Wednesday). NOTE: You need a QR code reader app to access all that info. There are few people more mythically fearsome than your junior high school assistant principal. Back in the late 1960s, Art Bleemer was the genial principal of Long Lots Junior High. He smiled when we saw him, which was rare. Most of the time he sat in his office. From Day 1 in 7th grade to graduation in 9th, we had no idea what he did. We knew what Mr. Koeller did, though. He handed out detentions. He made kids confess to whatever they’d done wrong — sometimes even more. He made them implicate their friends. He made even the toughest greasers cry. That’s what a junior high school assistant principal does. And Mr. Koeller did it very, very well. Mr. Koeller died Saturday. He was 88. Reading his obituary, I learned things about my old assistant principal I never knew. Mr. Koeller enlisted in the Navy during World War II. He served on a destroyer, and participated in the invasions of Safi, North Africa, Sicily and Salerno. After graduating from Holy Cross in 1947, he was commissioned as an ensign in the Naval Reserves. He earned a masters in school administration from Fordham, taught for 2 years in New Jersey, then was recalled to active duty in Korea. Returning to the States, he was an OCS instructor in Newport. In 1954 Mr. Koeller came to Westport, to teach science at brand-new Long Lots. He was assistant principal during my era, then became principal in 1973. He retired 10 years later. I got to know Mr. Koeller better then, when I substitute taught for a couple of years at Long Lots. He turned into the great guy he probably was all along — funny, warm, definitely not mean. He delegated that work to his new assistant principal, Dan Sullivan. During Mr. Koeller’s tenure, Long Lots earned a reputation as a superb school. He nurtured dozens of legendary teachers — some of whom remain in the Westport school system today. Through them, his influence on thousands of students lives on. After retirement, I saw Mr. Koeller from time to time at the diner. We had great talks, and I always left with a smile. But I didn’t know — until I read his obituary — anything about his volunteer work with the Red Cross and the Community Garden. Or that he’d been involved with St. Luke Church since its founding in 1957. He taught religion there from 1957-62, and again from 1982-2002. He was one of St. Luke’s 1st Eucharistic ministers, and served in that capacity for 12 years. Mr. Koeller — the assistant principal who gave out detentions and made greasers cry — had a beloved cat? I learned a lot at Long Lots — thanks to Mr. Koeller and everyone there. But even at my age, you learn something new every day.